This is a newer ship then Majesty, and a somewhat larger ship, too, at 76,000 tons. 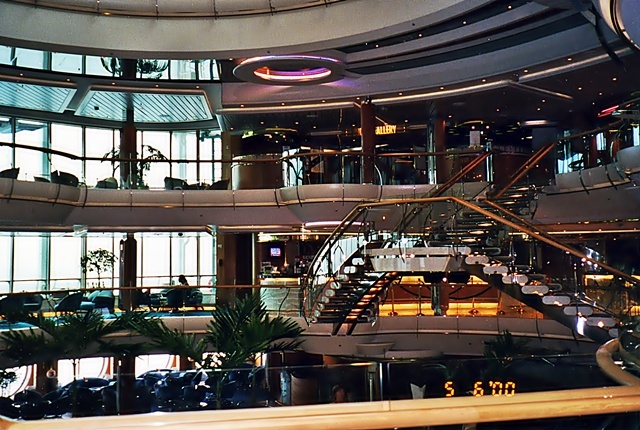 Sovereign, Majesty and Monarch are all cut from the same mold, whereas Grandeur is of RCCL's second wave of mega cruisers- which include the Rhapsody, Enchantment, and Vision among others. We cruised her in June of 2000 as our close friends, Chris and Pam, couldn't make the Majesty cruise due to the passing of Pam's father. Since they didn't have trip insurance (nor did we! ), RCCL didn't have to reimburse their Majesty cruise fare... but thanks to RCCL's gracious and understanding customer service department (and our travel agent, Karen Beldner), RCCL did agree to give them cruise vouchers for their next cruise. All four of us decided to take advantage of RCCL's kindness and go right away. Of course, this meant digging into our pockets a little deeper to join them, but since we were all supposed to cruise together on Majesty anyway, we really wanted to go with them. 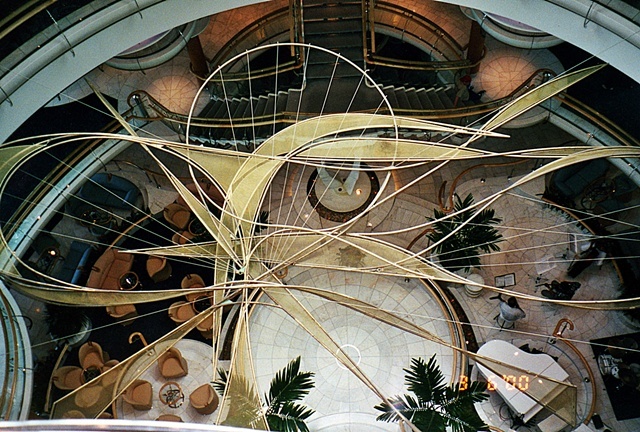 So, just three months after a wonderful time on the Majesty, we were once again on a cruise ship in the Caribbean! Life is good when there's a cruise once a year... life is truly blessed when there are two! And what a spectacular ship this was! 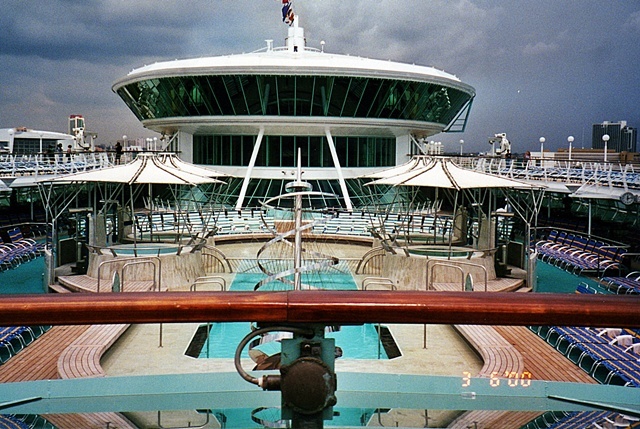 Among her breathtaking appointments, pools, solariums and hot tubs was an incredible disco in the Viking Crown (RCCL's signature piece of architecture... it looks like a flying saucer nestled at the top towards the aft end of every RCCL ship) lounge at the top of the ship! Once again, as with Majesty, the food was nothing less then excellent. Our waiter, Zoltan ("Z") was absolutely wonderful. Pam and Chris took to cruising immediately- not that we've ever met anyone who hated cruising (I'm sure they're out there- poor sick saps). 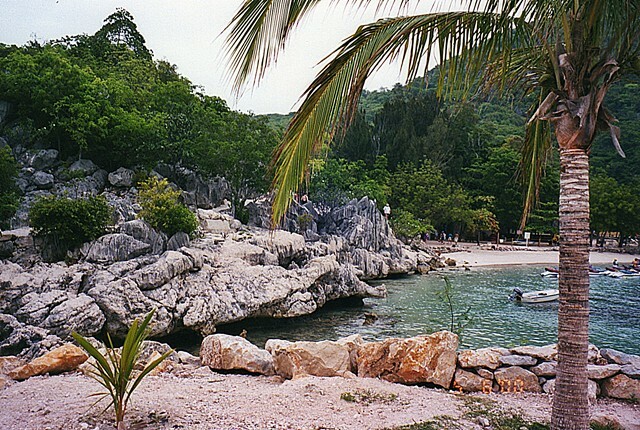 Labadee, Haiti as it was back in 2000! So much more rustic! 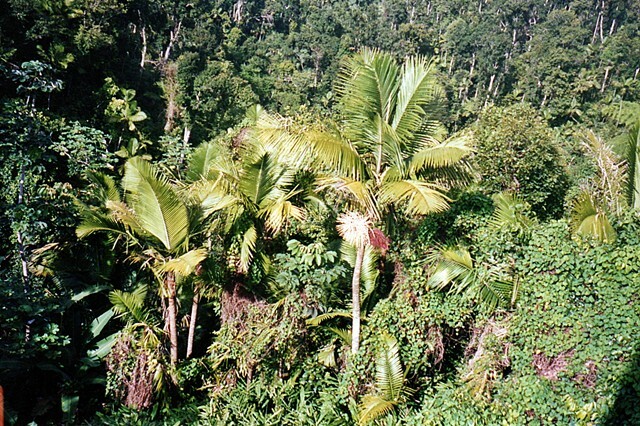 The Gorgeous El Yunque Rain Forest... great if you can stand the incredibly long bus ride to get there! ... to St. Thomas (Pam and Chris LOVED Magen's Bay) to Coco Cay (an RCCL owned island- okay but watch out for the fire ants!) in the Bahamas then back to Miami. We all had a spectacular time... these are memories I'll cherish for the rest of my life. 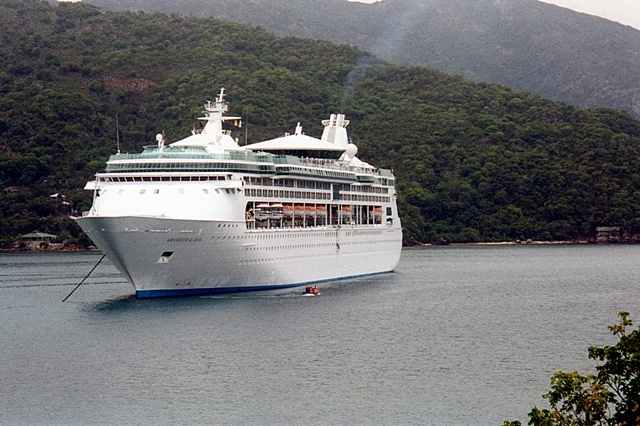 Update 2009: Labadee, Haiti and Coco Cay have both seen VAST improvements since this review was written. They continue to see even more upgrades today. Labadee has become a favorite stop on any Royal Caribbean/Celebrity cruise where it's offered. The Dragon's Breath Zipline is not to be missed. To see a small sampling of photos from this terrific cruise, press HERE!